Man is a social being and has different relations with various members of the community. When we see the behaviour of others, especially of those who are in some way close to us, we often feel that the things are not as they should be, that we should intervene and try to change them. On the other hand we also hesitate to do so because we do not know whether what we are thinking is right, whether the person wants or will appreciate an interference. When does this become part of our role or duty? Question: In dealing with others what is the best attitude? Should it be one of intervention or of non-interference? Which one is better? 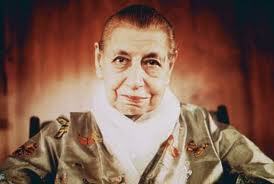 Here is the Mother’s answer, quite categorical as to when alone one can intervene. To intervene you must be sure that you are right; you must be sure that your vision of things is superior, preferable or truer than the vision of the other person or people. Otherwise it is always wiser not to intervene—people intervene without rhyme or reason, simply because they are in the habit of giving their opinion to others. Even when you have the vision of the true thing, it is very rarely wise to intervene. It only becomes indispensable when someone wants to do something which will necessarily lead to a catastrophe. Even then, intervention is not always very effective. In fact, intervention is justified only when you are absolutely sure that you have the vision of truth. Not only that, but also a clear vision of the consequences. To intervene in someone else’s actions, one must be a prophet. And a prophet with total goodness and compassion. One must even have the vision of the consequences that the intervention will have in the destiny of the other person. People are always giving each other advice: “Do this, don’t do that.” I see it: they have no idea how much confusion they create, how they increase confusion and disorder. And sometimes they impair the normal development of the individual. I consider that opinions are always dangerous and most often absolutely worthless. You should not meddle with other people’s affairs, unless first of all you are infinitely wiser than they are—of course, one always thinks that one is wiser!—but I mean in an objective way and not according to your own opinion; unless you see further and better and are yourself above all passions, desires and blind reactions. You must be above all these things yourself to have the right to intervene in someone else’s life—even when he asks you to do so. And when he does not, it is simply meddling with something which is not your business.